LULAC AND THE NAACP HAVE SLPIT ON THE HISD BOND PROPOSAL! Posted in Uncategorized | Comments Off on LULAC AND THE NAACP HAVE SLPIT ON THE HISD BOND PROPOSAL! WHERE DO YOU STAND ON THE BOND PROPOSAL? It was announced Sunday the Houston Independent School District secured an important endorsement for its proposed $805 million bond issue from The League of United Latin American Citizens. They held a news conference at the almost 60-year-old Berry Elementary School to announce its support for the bond proposal. This comes as African-American leaders and the NAACP have said they will fight the bond proposal saying it doesn’t provide for much-needed new schools in predominantly black neighborhoods. Is this the beginning of a public parting of ways between LULAC and the NAACP because each group is concerned about its own community? Where do you think this will lead and is it a surprise the two civil rights organizations are going down two separate paths? Leave your comments on the Insite! Enforcement of New Red-Light Camera Laws Begins Oct. 1! Posted in Uncategorized | Comments Off on Enforcement of New Red-Light Camera Laws Begins Oct. 1! WILL YOU PAY THE CITATION ONCE YOU GET IT IN THE MAIL? The city of Houston will begin sending out violation notices with $75 fines to motorists who don’t come to a complete stop before turning on a red light. Notices will also be sent to drivers who run red lights at any of Houston’s 20 intersections with bi-directional cameras. 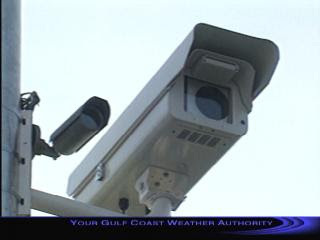 For a map of the city’s 70 red-light camera locations, visit www.houstontx.gov/police/trafficsafety.htm. SHOULD THERE BE A WORLDWIDE BAN ON HORSE SLAUGHTER? HORSE MEAT STILL IN BIG DEMAND AROUND THE WORLD – HORSE SLAUGHTER: IS IT TOO CRUEL TO GO ON? CIUDAD JUAREZ, MEXICO — The American mare swung her head frantically when the door to the kill box shut, trapping her inside. A worker jabbed her in the back with a small knife seven, eight, nine times. At the 10th jab, she fell to the floor of this Mexican slaughterhouse, bloodied and paralyzed but not yet dead. She would lie there two minutes before being hoisted upside down from a chained rear leg so her throat could be slit and she could bleed to death. The primitive procedure at the Ciudad Juarez plant is now the fate of thousands of exported U.S. horses since court rulings have shut horse slaughter operations in the United States. The roan mare was one of nearly 30,000 American horses shipped to Mexican processing plants this year, a 370 percent increase from the number recorded this time last year. By the time she and her peers were led into this city-owned plant, they had typically traveled in packed trucks 700 miles or more, say the American traders who ship them. Some arrive dead. Many of the others come in “fractured, battered and bruised,” said Jose Cuellar, the plant veterinarian. No one disputes that slaughter-bound horses have it far worse today than before U.S. courts, upholding state bans, closed two plants to horse slaughtering in Texas earlier this year and the nation’s single remaining one in Illinois on Sept. 21. Animal welfare advocates who lobbied to end horse slaughter in the United States gambled that Congress would pass legislation by next year barring horses from being exported for slaughter and preventing horse slaughter plants from opening in states that don’t have bans. 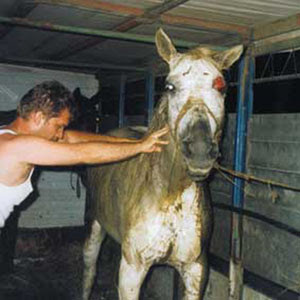 But the fate of the American Horse Slaughter Prevention Act is uncertain. “I think (the odds of the ban passing are) 50-50 this session,” said U.S. Rep. Ed Whitfield, R-Kentucky, a leading opponent of horse slaughter who sits on the House Energy and Commerce Committee. HR 503 passed the House last year, but a companion bill died in the Senate. The legislation reintroduced this year is pending. John Holland, a horse slaughter opponent from Virginia, likens the fight to warfare: attack the industry from all sides and deprive it of profits, while pressing Congress for a federal law banning horse exports. “The federal ban is the name of the game and everybody in the anti-slaughter community knows it,” he said. More than 100,000 U.S. horses were slaughtered last year for foreign dinner plates, according to government figures. There have been 15,000 fewer American horses slaughtered this year since the U.S. operations closed compared with this time last year, even counting the jump in the number being shipped to Mexico and Canada, Holland said. HAS HOUSTON’S DOWNTOWN NIGHTLIFE RUN ITS COURSE? 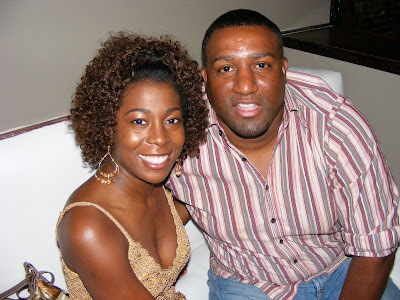 Posted in Uncategorized | Comments Off on HAS HOUSTON’S DOWNTOWN NIGHTLIFE RUN ITS COURSE? WHAT IF YOU BUILD IT AND THE PEOPLE STOP COMING? 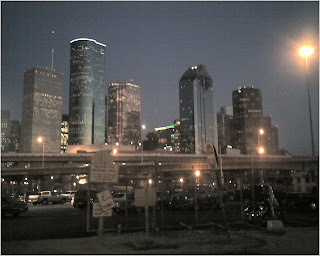 It was quite clear Friday evening Houston’s once vibrant downtown night scene is slowly dying. 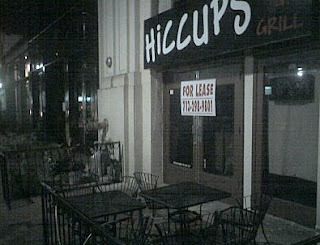 As I attended a going away party and alumni meeting, there were several signs on businesses that indicated they were closed, for sale or for lease. Business that were once booming nightclubs and restaurants when I first arrived in Houston in 2001. So what caused this? It varies from person to person. Some who work downtown say the huge homeless population is running people away while others say the lack of downtown promotion is the culprit. 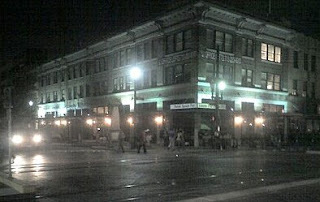 Whatever it may be downtown has a completely different atmosphere. I’s likely we will never see downtown at its peak again during periods like the Super Bowl, NBA All Star and the MLB All Star games. What do you think is causing the decline in downtown Houston’s nightlife? Leave your comments here on the Insite! FROM POLITICS TO MANAGING THE PULPIT! 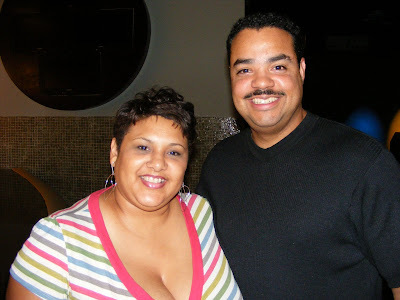 Posted in Uncategorized | Comments Off on FROM POLITICS TO MANAGING THE PULPIT! THE NEW EXECUTIVE ADMINISTRATOR AT COMMUNITY OF FAITH CHURCH! Congratulations to Damon Williams. He’s leaving his position with Councilman Peter Brown to begin a new phase of his career. Williams will now serve as Executive Administrator for Community of Faith Church. COF is headed by Bishop James Dixon. Williams will manage the business affairs of COF 2 churches, 2 charter schools and the community development corporation. 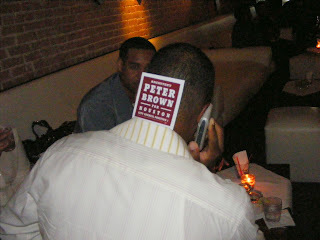 Damon has worked with Councilman Peter Brown for two years. Williams going away party was held at the Office Friday night. 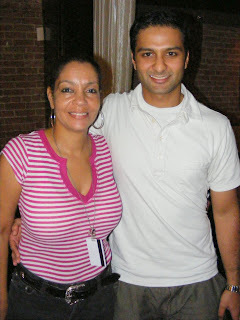 He was greet by many of his friends as he embarks upon this new career path. Good luck Damon! 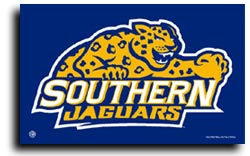 SOUTHERN UNIVERSITY ALUMNI MEET AND GREET! 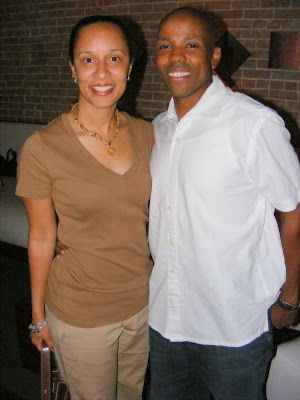 Posted in Uncategorized | Comments Off on SOUTHERN UNIVERSITY ALUMNI MEET AND GREET! SHAKEN AND STIRRED AT THE OFFICE! 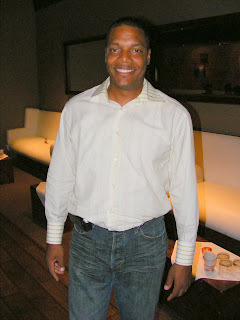 Friday night was time for Houston based Jaguars to mingle in the downtown area. 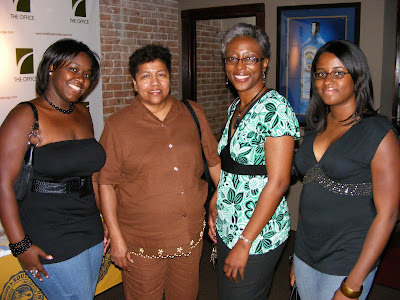 The Southern University Alumni – Houston Chapter held a meet and greet at the Office. It was billed as the Shaken and Stirred happy hour. The Insite ran into lots of fellow Southernites and familiar faces. On that list were: Carl Daniels, Angelia Allison, Rod Brown, Lenard Scott, GiGi Scott, Barbara Jack, John Brossette and the list goes on. 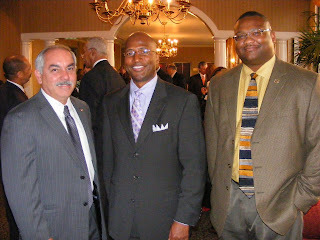 For more information about the Houston Southern University Alumni Chapter check out the link below! DID HISD PLAYING ACT FAST ENOUGH AT KEY MIDDLE SCHOOL? 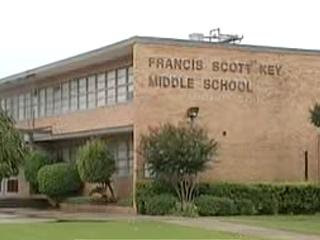 Posted in Uncategorized | Comments Off on DID HISD PLAYING ACT FAST ENOUGH AT KEY MIDDLE SCHOOL? WHAT’S YOUR OPINION ON THIS SITUATION? When Wretha Thomas and the HESP Union came forward with information workers were getting sick at Key Middle nearly a month ago – HISD said there were no issues with the campus. Then when some teachers became ill at the school HISD said there was nothing they could find that was affecting them at Key Middle. Experts came in and gave the school a clean bill of health. Then some students got sick and HISD. Nearly a month later people in white suits from Atlanta had to come in and make it clear there was something in the school. Those people were from the Centers for Disease Control. Now the school has been cleared of the students until it can be cleaned up of whatever contaminants that may exist there. Do you think HISD should’ve acted faster to ensure students and teachers were safe health wise? Please leave your comments below! 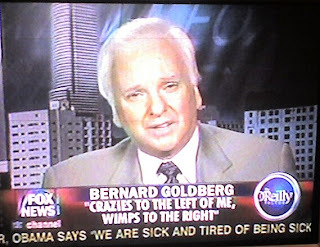 IS BERNARD GOLDBERG TRYING TO MAKE A NAME FOR HIMSELF! 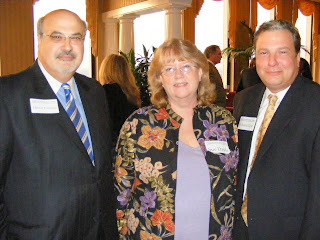 Posted in Uncategorized | Comments Off on IS BERNARD GOLDBERG TRYING TO MAKE A NAME FOR HIMSELF! A HEALTHY CONVERSATION OR RACIST REMARKS? What do you think of Goldberg statement – right on or just over the top? INSITE PET PEEVE OF THE WEEK: CAJUN GRILL! 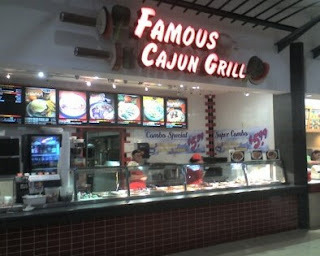 Posted in Uncategorized | Comments Off on INSITE PET PEEVE OF THE WEEK: CAJUN GRILL! I can’t be the only one this has happened to. 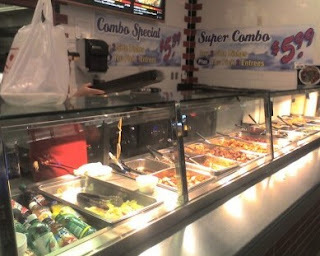 First, let me say I love the bourbon chicken sold at the chain of Cajun Grills that can be found in any Mall USA. I just have to have it once a month. But the problem I face anytime I go to a Cajun Grill in the Woodlands Mall or the Galleria, the employees try to rush you into a food decision. It’s like they’re in a huge hurry when you’re the only person in the line. I don’t know if it’s a high pressure sales tactic but it is so irritating. There was a woman at the Woodlands mall deciding what she wanted and the server was rushing her and just started putting his choices on her plate. The woman was so pissed. 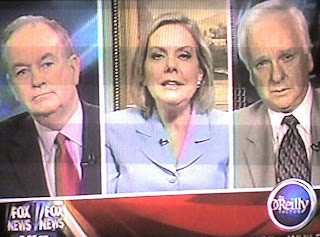 She yelled “would you give me a damn chance to decide, my God.” The man eventually backed off. But the woman became so upset she walked over to the Wendy’s stand. Just Thursday night I was trying to find an alternative to bourbon chicken and another server just started putting food on my plate after I told him I was still deciding. I went off. He had to take all the food off my plate and wait until I made up my mind. But I wasn’t prepared to walk away from the good food. I received the same type of service in the Galleria, Greenspoint Mall and Northline Mall (I think that’s the name). But if I could give Cajun Grill employees any advice it would be to take a chill pill and allow customers to decide what they want – especially if there aren’t a lot of customers in line. This was the Insite’s Pet Peeve of the Week! Has it happened to you? 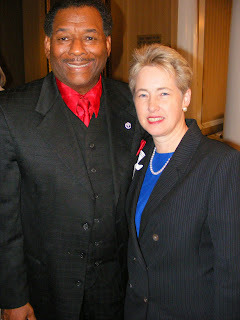 THE NEW PRESIDENT OF THE HOUSTON FIREFIGHTER’S UNION! 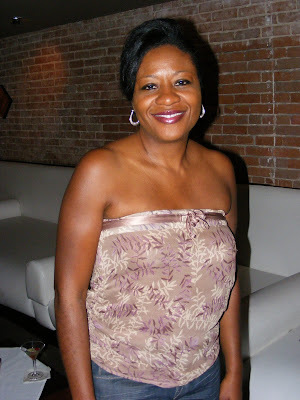 Posted in Uncategorized | Comments Off on THE NEW PRESIDENT OF THE HOUSTON FIREFIGHTER’S UNION! CAYNON: IT WAS TIME FOR NEW LEADERSHIP! The Insite ran into Jeff Caynon. 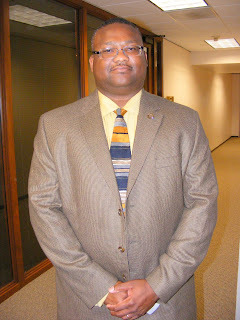 He was recently voted in as the new president of the Houston Firefighters Union local 341. Caynon has served as a fireman for the last 13 years of his life. He won the position after a run off with 67% of the vote. Caynon is the first African American every to become president of the union for Houston firefighters. The first responder says he felt like it was time for new leadership and a new direction for the organization. So after sitting on the board of the union for three years he threw his name in the hat. Caynon says his main focus will be collective bargaining. The firefighter’s current contract with the city will expire in December and he says he hopes to have a new contract in place before that time. Hey Jeff, thanks for dropping by The Insite! 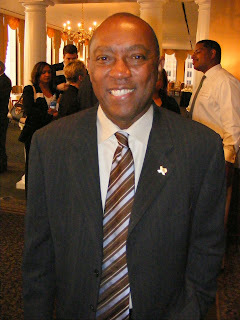 SYLVESTER TURNER CELEBRATES HIS BIRTHDAY! 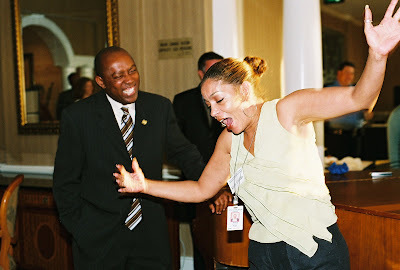 Posted in Uncategorized | Comments Off on SYLVESTER TURNER CELEBRATES HIS BIRTHDAY! THE STATE REPRESENTATIVE GETS 1 YEAR OLDER! 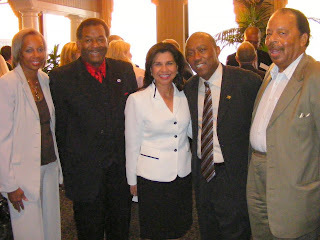 High atop the Shell building on the 49th floor in downtown Houston State Representative Sylvester Turner celebrated his birthday with dozens of friends. 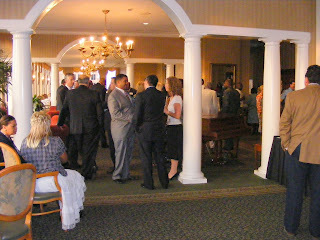 The Representative quietly moved around the room greeting each and everyone of his guests. 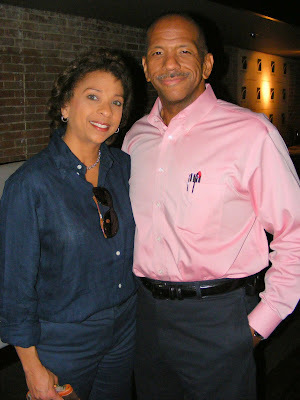 He said “since my party will be on the blog I know I have arrived.” In truth Turner, a Harvard graduate, arrived a long time ago. 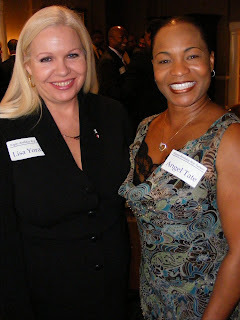 Turner was surrounded by lots of political supporters and friends including Annise Parker, Sue Davis, Jeff Caynon, Richard Cron, Hector Carreno, Peter Brown, Kathryn Griffin and a host of others. 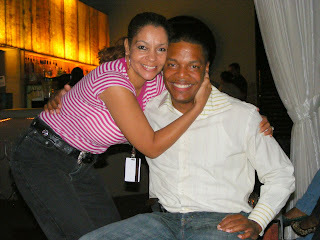 Here are some of the pictures the Insite snapped in my quick trip through the event! SOUTHERNITES – IT’S TIME TO UNITE AT LIFE! 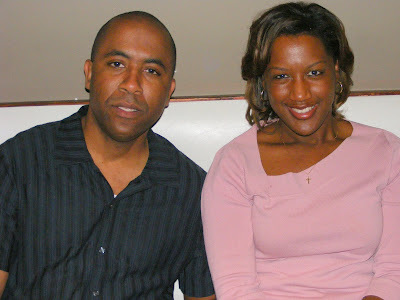 Posted in Uncategorized | Comments Off on SOUTHERNITES – IT’S TIME TO UNITE AT LIFE! Join us for another SoUthern Shaken & Stirred Happy Hour event. 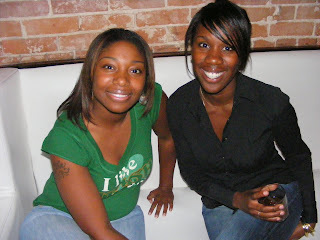 This time we are taking over the Life Lounge, located 308 Main between Preston and Congress. If you missed us at Myles J we suggest you not miss this one! 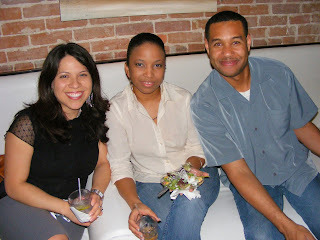 Come LOUNGE AT THE TOP as we mix, mingle, and meet local Houston Area Southern University Alumni! Everyone free before 11 p.m. Enjoy $3 flavored Martinis and $5 Well Drinks plus other drink specials, from 5 p.m. to 9 p.m.